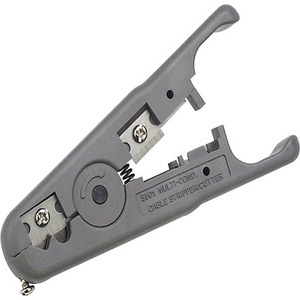 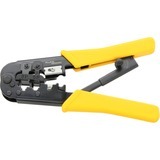 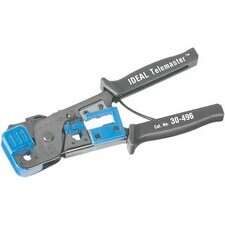 Ideal for data telephone and network installations, 4XEM's multi-purpose Wire Cutter and Stripper works with Cat3, Cat5, Cat5e, and Cat6 shielded and non-shielded cable. 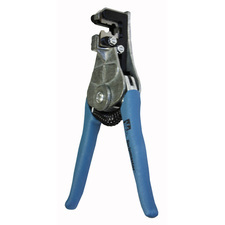 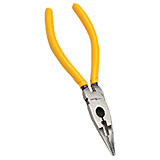 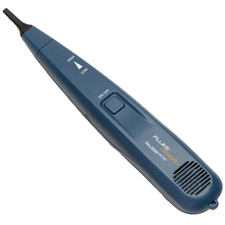 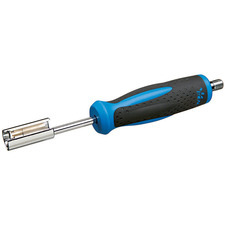 Featuring a quality build, this pro grade tool cuts and strips multiple cable types including: 4, 6 and 8 conductor flat satin cable, 4, 6 and 8-conductor UTP/STP data cables, 25-pair data and telephone cables, multi-conductor round cable bundles with a maximum diameter of .5" (12.7 mm) and 14-8 AWG (2.5-75 mm²) wire. 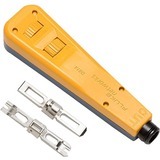 Self-regulating to prevent nicks and easily adjustable with a simple thumb screw. 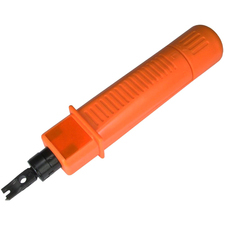 4XEM gear is respected industry wide for its high performance, premium quality and durability.